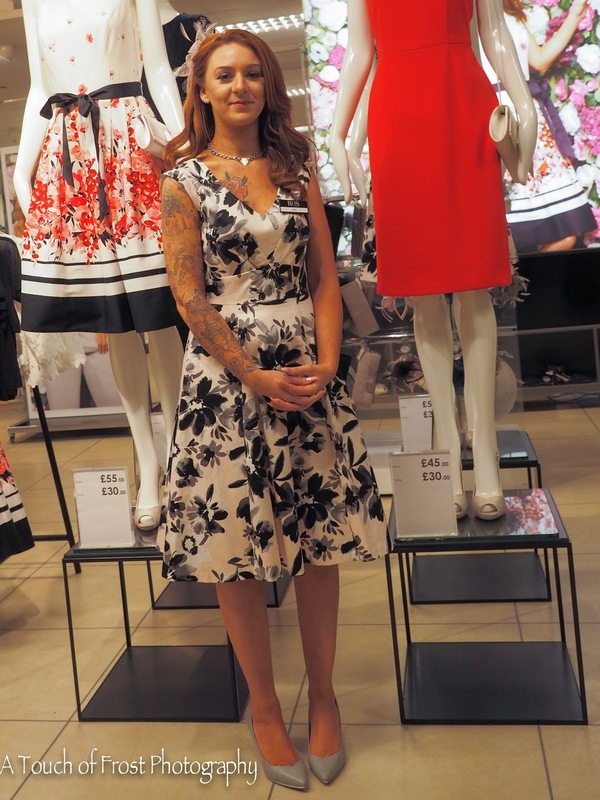 Passing through BHS (British Home Stores) in Broadmarsh the other day, I noticed this girl dressed in a vintage dress with colourful tattoos. I then realised that she worked for the company and her name was Claire. The name badge gives it away! I also realised that she was wearing one of the dresses that the store were selling. So I started chatting to her and saying what a good idea it was to have an actual live person showing the dress off, catwalk style, rather than using a mannequin. Naturally I had my camera with me, so I got her to pose for me. Thanks again Claire.